Environment variables are very useful for setting some data in the operationg system environment. They are like key-value pairs where we can set a key a specific value which can be used by all applications in the current operating system. 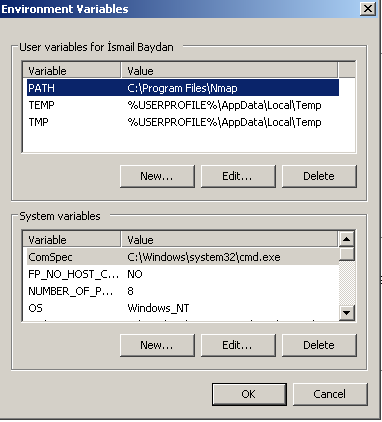 Environment variables are used to set library path, Java path, Java version, current username, current connection type etc. 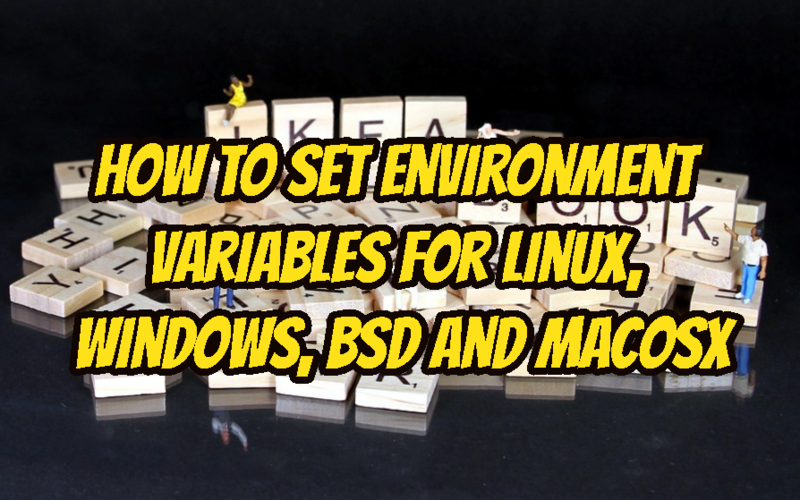 We can list Linux operating system environment variables in different ways. The most popular way to list all environment variables is using env command. If we can to just print and list specific environment variable we need to use grep command like below with the env command. In this example, we will list environment variables where their key or value contains the USER term. We can see that USERNAME and USER variable keys are filtered and printed. We can also use the echo command by providing the variable name which is USERNAME in this example. Now, this is the most interesting part in setting an environment variable key and value. We can set environment variables permanently or temporarily. Setting permanently will store the variable during reboots and restarts. It will not be removed after a system restart. 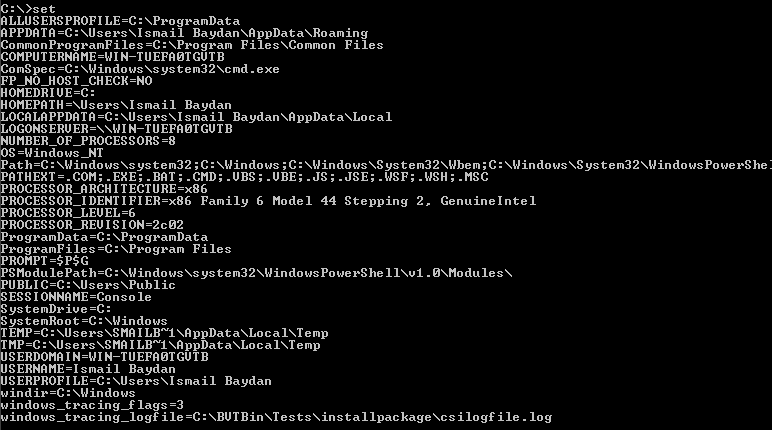 We will use bash shell .profile file to set environment variable permanently. Add the following lines to the user’s profile file like below. 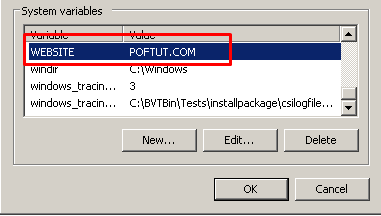 Run following command which will add key and value to the users .profile file. 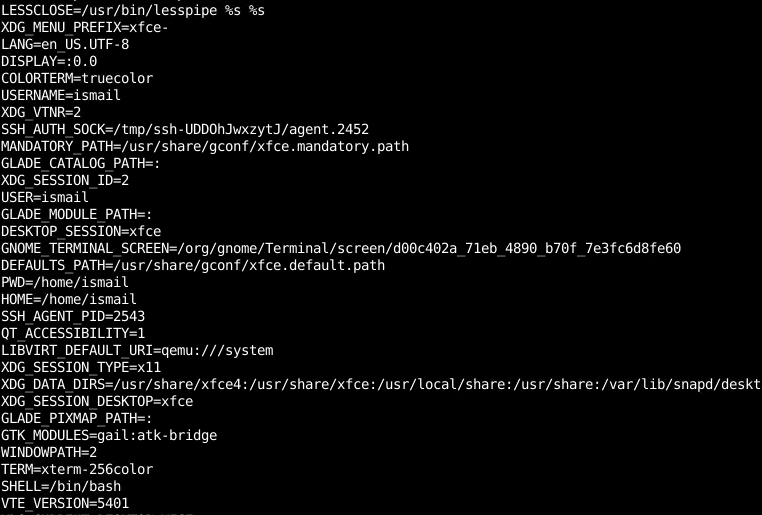 For zsh shell we will add to .zprofile file like below. If we want to set an environment variable temporarily for just current session for all users we can use export and set commands. set will add the environment variable and export will add variable to all other users environment. We can use the set command in order to print currently used environment variables from the MS-DOS command line interface. We can see that popular environment variables like PATH, PROMPT,OS and their values are printed in this example. If we want to just print single environment variable value we can use echo command by providing the environment variable key or name. In this example, we will print the value of USERNAME. As we can see that we can add User specific or System variables from this pane. Also, the user and system variables are printed in this pane too. When we click to the Newin the system variables part we will see the following screen where we can set Variable name or Key and Variable value. We can see that the system variable WEBSITE is added to the system variables list.